Can PAS Lead A Future Government? OFTEN, in this blog and elsewhere, people asked me if the Parti Islam Se Malaysia (Pan Malaysian Islamic Party aka PAS) could rule the country? As I wrote in my “Other Thots” column in the Aug.1 issue of the Malaysian Business magazine, the temptation is to refer them to the iconic song “Blowing in the Wind” by Bob Dylan. Why not? If it gets enough support, it could. Whether it will do a good or a bad one is another issue altogether. In democracy, you don’t always choose the best to govern. But one thing is sure. PAS could not rule the country alone. It could rule the country only if it is able to lead the Pakatan Rakyat or any other alliance. But before it could hope to do that, it must first take over UMNO’s role as the principal Malay party. PAS has to win as many seat as Umno and has to have the financial, organisational and intellectual capabilities matching that of Umno. Given the country’s demography, political history and the ongoing trends, a Malay party will continue to lead. This dominance is clear in the BN, where Umno is the alpha male, but not so in the PR. In the 2008 general election, PAS came second to PKR among the three PR parties in terms of popular votes. The PKR won 1,529,265 votes that translated into 31 Parliamentary seats, PAS 1,140,598 (23 seats) and the DAP 1,097,752 (28 seats). Umno raked in 2,381,725 votes that translated in 79 seats, the MCA 840,489 (15 seats), the MIC 179,422 (3 seats) and Gerakan 184, 548 (2 seats). PAS could only hope to rule the country if it leads the PR the way UMNO has been leading the Alliance/BN since independence. For now, there’s no dominant party in the PR. The alliance is an equal partnership among the Malay dominated PAS, the Chinese dominated DAP and the multi-racial, but Malay-led PKR. This equal partnership may be attractive to the liberals and those fighting for equality, but politically it cannot guarantee strength and cohesiveness. Collective leadership among equals is difficult to manage, more so in a multi-racial environment like Malaysia. From the viewpoint of the Malay support, Pas has been inching closer to Umno, but it cannot hope to be as strong as Umno if it continues to share the Malay-majority seats, hence Malay votes, with PKR, another Malay-centric party in the Pakatan. In the last general election, thanks to the electoral pact cobbled together by Anwar Ibrahim, and the widespread disgruntlement with the then Prime Minister, Abdullah Ahmad Badawi, Pas won Kedah in addition to retaining Kelantan. It won seats in places that it had not dreamt of and gained supporters in places where Umno ruled supreme like Johor and Malacca. With the benefit of hindsight, we can say that the hatred for the so-called Fourth Floor Boys (FFBs) cost Umno a lot of votes. Prime Minister Mohd Najib Abdul Razak is undeniably better and more capable than Abdullah, but whether he too suffers from the FFB-type burden is anybody’s guess. If he is, the opposition can count on another fruitful outing. In today’s ICT-driven world, perception plays as important a role as reality. Mohd Najib has to prove to the voters, especially members and supporters of his own party, Umno that he’s not only the master of the Malay destiny, but also the lord of his castle, failing which his Achilles heel will buckle. Those us who are familiar with the song “He Ain’t Heavy, He’s My Brother” made popular by Neil Diamond, can more easily figure this one out. In recent years, Pas had undergone considerable leadership and policy changes with the non-ulama now dominating the leadership and Islamic State objective morphing into welfare state. But its relationship with its partners, in particular the DAP, remains touchy due to vast ideological and policy differences. The three PR parties appear to be moving in tandem at the federal level, especially in taking on the BN in Parliament, but show considerable differences in the states that they rule. A case in point was the recent attempt by the Pas-led Kedah government to shut down entertainment outlets during this fasting month and the reaction to the recent “inspection” by the Selangor Islamic Religious Affairs Department (JAIS) of a dinner gathering by an independent evangelical church, which were attended by Muslims, and features, among other things, a quiz on Islam. Following a strong objection by the DAP, the party’s national leadership back downed, leaving the Kedah Menteri Besar, Azizan Abdul Razak red-faced, and many Pas supporters angry. The church issue is far more complicated. After days of trying to ride the political wave, Pas, on Aug. 13, moved to the side of JAIS, urging the department to take immediate action if it finds proof that Christians were proselytising to Muslims. The statement by the party’s non-ulama Deputy President, Mohamad Sabu, came after reports in the mainstream and alternative media suggest that there were evidence that some independent churches are engaged in the activity. It is this kind of political posturing among PR parties that could render the alliance ineffectual and cause it to lose the support of the voters. The price could be heaviest on PAS. Sooner or later, its genuine rural-based supporters, who truly believe in the party’s Islamic ideals, may lose trust in it. They may conclude that the party’s Islamic agendas are being made a pawn in the game by their leaders. Without the rural support, PAS runs the risk of losing Kedah and even its stronghold, Kelantan. Such plans as limiting gambling activities, the selling of liquor and curbing entertainment, are popular with its rural supporters, who see them as to the prelude to establishment of a “Daulah Islamiah” – the Islamic State. Despite these differences, Pas and DAP appear to be engaging in more direct talks than ever. This could signal the party’s growing confidence and the general acknowledgement that the PKR may no longer be in the position to be an effective middleman. This development may auger well for the DAP and PAS, but could reduce the influence of PKR and pose a further challenge to Umno and the BN. If the DAP could accept the dominant role of PAS – in the manner that the MCA and MIC accepted the leadership of Umno, future of the PR is much more assured. But this may not be the case in the immediate future because Pas is still not as strong as Umno while on the other hand the DAP is stronger than the BN’s Chinese parties combined. The DAP may not want to play second fiddle to Pas. Depending on their ambition and resolve, there’s possibility that the DAP and Pas may part company and go on their own once again. The DAP may choose this course of action in order to entrench its position in Penang while Pas could hope to continue to rule Kelantan and Kedah on its own. But a total breakdown of PR will work against both parties and to the advantage of the BN. 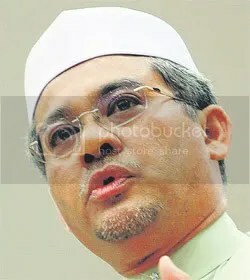 The ongoing dialogue between PAS and the DAP will determine the future of PR beyond Anwar and PKR. Whereas the recent PAS election had produced a line-up that’s capable of taking the party forward, the same could not be said of the PKR polls. Three years had passed since the 2008 general elections and the people have sufficient time to judge the performance of the PR, both as parliamentary opposition as well as the rulers of Kedah, Penang, Selangor and Kelantan. The sterling performance of the DAP in the recent Sarawak state election suggests that the 2008 political tsunami hasn’t lost its momentum. The demand by Pas that it should be allowed to contest up to 80 parliamentary seats suggests the party’s growing confidence and its resolve to be the replacement for the PKR as the dominant PR Malay partner. The next important question is the ability of Pas to put forward credible administrative and economic plans. Having muted its “Daulah Islamiah” agenda and replacing it with “welfare state”, the party has to spell out its vision and plans for such an entity. There is no denying that some Pas leaders were educated in economics and liberal subjects, and had the experience in the administrative, academic and managerial fields. But running a country as diverse as Malaysia needs more than cursory knowledge and experience. 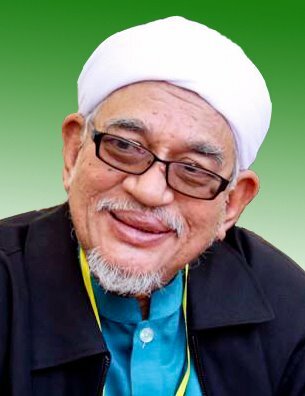 Judging from the articles and papers on the economy and economic matters that appear regularly in the party’s official organ, Harakah, I get the impression that PAS is aware of the need for a comprehensive and practical economic policies and plans. The real challenge for Pas, should it succeed in taking over from Umno, is to remodel the civil service to fit its mould. Kelantan and Kedah are unique in the sense that their civil services are state-based. So, Pas had not faced a major challenge when it won the two states. But the situation is trickier for the PKR in Selangor and the DAP in Penang where the civil service is controlled from the centre. Still, the civil service is supposed to be apolitical and loyal to the government of the day. But a pliant civil service alone will not guarantee the successful running of the country. It needs a government that is sufficiently well informed and efficient. Say whatever we like about the BN, the fact remains that it has managed the country fairly well. In a rapidly globalising world, Economic planning and management are becoming more complex, and this is point that the political parties and the voters must think very carefully before they take a plunge. But say that only one party or a particular group of people can run the country is inaccurate. Any party that can successfully convince the majority of the voters can rule the country. Whether it will do better or worse than its predecessor is the risk that the voters must be willing to take. That’s what democracy is all about. It promises the freedom of choice, but not the quality of people to choose from. BETULKAH orang Melayu sukar berubah, apakah orang Melayu tidak boleh berubah. Jawapannya Insyaallah Melayu boleh berubah. Tidak ada perkara yang mustahil atas dunia ini untuk berubah cuma ia mesti bertepatan dengan sebab dan musabbab. Firman Allah SWT bermaksud “Sesungguhnya Allah tidak mengubah suatu kaum itu sehinggalah kaum itu mengubah nasib mereka sendiri”. Teruk sangatkah Melayu sehingga tergamak orang berkata demikian. Kayu ukur mereka yang berpandangan demikian ialah apabila melihat siri keputusan pilihanraya kecil di Galas, Tenang, Merlimau dan Kedau yang masih menyebalahi BN walaupun terdapat lambakan isu yang tidak menyebelahi BN, namun rakyat tetap memilih BN. Maka mereka merumuskan Melayu sukar untuk berubah. InsyaAllah Melayu boleh berubah dengan ilmu pengetahuan dan agama. Selagi Melayu berjaya dibutakan maklumat oleh BN melalui media arus perdana seperti Televisyen maka selagi itulah mereka akan digula-gulakan oleh kerajaan BN. Menyedari hakikat ini kerajaan BN akan menggunakan sebaik mungkin tanpa belas kasihan kepada parti lawan. Dengan skil yang terlatih di kalangan pakar media di media elektronik maka ia berjaya mengelirukan orang Melayu, terutamanya yang berkiblat dengan televisyen. Tetapi dengan pengetahuan semuanya akan berubah. Benarlah Allah SWT yang menurunkan ayat pertama di dalam Surah al-Alaq dengan arahan” bacalah” membawa erti, bahawa tamaddun suatu umat akan berjaya apabila masyarakat yang mempunyai pengetahuan. Ramai di kalangan penyokong PAS dan Pakatan Rakyat sekarang berasal daripada keluarga Umno telah bertukar kem untuk menyokong PAS dan Pakatan Rakyat kerana mereka dianugerahkan Allah ilmu pengetahuan samaada ke berada di menara gading atau mereka akses maklumat daripada media baru. Ketika itu mereka akan meninggalkan perahu bocor yang dinaiki oleh ibu bapa dan datuk nenek mereka selama ini. Manamana pemimpin diktator ia mesti menutup maklumat supaya tidak sampai ke pengetahuan rakyat. Sebab itu orang Melayu yang terdedah dengan maklumat yang bebas mereka boleh membuat pertimbangan yang waras untuk mencorak kepimpinan negara. Mereka tidak boleh berkompromi dengan pemimpin yang tidak amanah, perasuah, pecah amanah. Mereka ini ialah melayu yang rasional dan waras. Kedua ialah faktor memahami ajaran Islam yang syumul, akan menjadi perkara pokok yang boleh menjadi faktor untuk islahkan masyarakat Melayu. Mereka yang memahami agama akan merasa bersalah menyokong parti yang penuh dengan rasuah, umno maka ia cepat-cepat dipancong. Ketika Umno berkuasa di Selangor sebelum PRU 2008, Para ustaz diburu kerana penyampaian agama mereka yang dianggap boleh membunuh virus sekular yang bersarang di dalam otak orang Melayu. Masyarakat tidak akan lupa tindakan Jabatan Agama Islam (JAIS) yang hendak menangkap Dato’ Dr Haron Din, Dato’ Ishak Baharom, Dato’ Ismail Kamus semuanya gara-gara takut orang Melayu me mahami Islam yang sebenar. Maka apabila majlis ilmu tidak hidup di masjid dan surau maka kekuatan Umno begitu bertenaga, Sekiranya tempat itu subur dengan pengajian ilmu seperti pondok maka ia akan menjadi kubu kuat PAS.Oleh itu institusi pondok adalah pengkalan PAS yang paling teguh. Kerana kebanyakan Tok Guru pondok adalah penyokong tegar PAS, walaupun pondok mereka tidak di atas nama PAS. Contohnya Pondok PASir Tumbuh di Parlimen Kubang Kerian, Pondok Pak Nik Lah dan Madrasah Darul Anuar Pulau Melaka di Pengkalan Chepa. Di Pasir Emas ada Pondok Tok Guru Haji Abdullah Lubuk Tapah, Pondok Tuan Guru Haji Zakaria. Di Kedah ada Pondok Pak Ya di Padang Lumat, Pondok Pak Man Bukit Besar, Pondok Tuan Guru Haji Awang Lanai Baling dan banyak lagi pondok yang menjadi kubu PAS. Umno begitu cemburu dengan kuliah agama maka mereka berusaha menyekat kuliah dan memecat ahli jawatankuasa masjid dengan diganti mereka yang bukan ahli masjid. Pada mereka biar masjid mati tidak mengapa asalkan orang Melayu tidak memahami Islam yang syumul. Usaha pencerahan maklumat perlu di kalangan orang melayu jika mahu mereka berubah. Selagi mereka cetek agama. maka selagi itulah mereka akan tidak tahu membezakan antara hak dengan yang batil. Melayu cerdik apabila ada agama, melayu akan hina apabila jauh daripada pegangan agama. Benarlah kata-kata Saidina Umar “Kami kaum dimuliakan dengan Islam, jika kami mencari lain daripada Islam maka kami akan dihina oleh Allah”. Hari ini orang Arab dihina kerana mereka tidak menghayati Islam sehingga mereka takut kepada Israel walaupun mereka mempunyai hasil minyak yang banyak untuk dijadikan senjata untuk melumpuhkan ekonomi Israel dan sekutunya. ADUN dan para wartawan tiba awal hari ini untuk menghadiri sidang DUN Selangor yang akan membahas cadangan pindaan Undang-undang Tubuh Negeri untuk mengembalikan kuasa melantik tiga pegawai tinggi kerajaan kepada sultan dan negeri, lapor Malaysiakini. Dua trak anggota polis kelihatan berada di pintu masuk DUN manakala satu trak lagi berada berhampiran Wisma MBSA, ekoran kemungkinan berlakunya protes pagi ini. Kedua-dua pintu masuk dan keluar DUN dibuka separuh, dengan ruang yang mencukupi untuk dilalui sebuah kereta. Sidang DUN dijadual bermula jam 10 pagi di mana kerajaan negeri Pakatan Rakyat bercadang meminda Undang-undang Tubuh Negeri tersebut. BN sebagai pembangkang negeri bagaimanapun menuduh kerajaan merancang untuk menambah kuasa menteri besar dalam menentukan pelantikan pegawai tinggi kerajaan negeri. Cadangan pindaan itu dibuat ekoran tindakan kerajaan pusat melantik bekas pengarah Jabatan Agama Islam Selangor (JAIS), Datuk Mohd Khusrin Munawi sebagai setiausaha kerajaan (SUK) negeri yang baru. Kerajaan Selangor membantah keras pelantikan tersebut dan menuduh Putrajaya mengetepikan kuasa negeri, apabila melantik Khusrin tanpa berbincang dengan menter besar. Sultan Selangor bagaimanapun memperkenankan pelantikan Khusrin yang mengangkat sumpah pasa 5 Januari lalu. LAPORAN LANGSUNG 9.30 pagi: ADUN Pelabuhan Klang Badrul Hisham Abdullah tiba di bangunan SUK, diiringi dua pembantu. Beliau disambut oleh silauan lampu kamera jurufoto, menyebabkannya agak terkejut. “Wah, banyak peminat ni!” katanya berseloroh. Beliau enggan menjawab sebarang soalan walaupun ditanya bertubi-tubi oleh pemberita, sama ada akan mencabar keputusan speaker Teng Chang Khim yang mengisytiharkan kerusinya kosong. 9.32 pagi: Kira-kira 200 berkumpul di Dataran Shah Alam bawa pengawasan ketat polis. Sebahagian peserta memakai ikat kepala bertulis GAPS (Gagasan Anti Penyelewengan Selangor). Empat unit pasukan polis berkawal di depan pintu SUK. 9.40 pagi: Didesak pemberita, Badrul Hisham Abdullah memberitahu akan memfailkan saman bagi mencabar keputusan itu tengah hari ini selepas menghadiri sidang DUN. Bagaimanapun, masih belum jelas sama ada beliau dibenarkan memasuki dewan ekoran kerusinya telah diisytihar kosong. 10 pagi: Dewan mula bersidang. Badrul Hisham Abdullah – yang kerusinya diisytihar kosong oleh speaker – duduk di bilik yang dikhaskan kepada petugas media, tingkat atas di dalam dewan. Setiausaha dewan membacakan ucapan diraja bagi pihak Sultan Selangor Sultan Sharafuddin Idris Shah. Dalam ucapannya, Sultan bertitah supaya ADUN membahaskan cadangan pindaan itu dengan sebaiknya tanpa beranggapan perkenan yang diberikan baginda sebagai menyokong mana-mana pihak dalam dewan. Baginda juga memberitahu ADUN supaya tidak menariknya sama dalam politik. Istana sentiasa tidak mencampuri urusan politik, titahnya lagi. 10.24 pagi: Menteri Besar Tan Sri Abdul Khalid Ibrahim membacakan ucapannya. Berdasarkan perkara 10(3) peraturan dewan, kerajaan Selangor membentangkan pindaan terhadap Undang-undang Tubuh Selangor 1959 terhadap perkara 52(1), kata menteri besar. Pindaan itu dicadangkan supaya generasi akan datang tidak lagi tertanya-tanya dan tiada pihak yang berani melanggar kuasa kerajaan negeri dan Sultan, kata Khalid. Pakatan Rakyat memberikan komitmen menjunjung perlembagaan negara dan undang-undang tubuh negeri serta Rujun Negara, yang menjadi asas kepada kerajaan Selangor hari ini, tambahnya. Pakatan juga, tambah Abdul Khalid, berhasrat menegakkan kedudukan dan peranan Raja-raja Melayu yang dinyatakan dalam perlembagaan persekutuan. 10.35 pagi: Selepas duduk di bilik khas media kira-kira 30 minit, Badrul meninggalkan bilik itu dan bercadang mengadakan sidang media di luar. 10.50 pagi: Dalam sidang media selepas itu, Badrul Hisham mengaku beliau masih merupakan wakil rakyat yang sah dan akan terus berkhidmat kepada rakyat. Bagaimanapun, ditanya lagi sama ada beliau mahu memfailkan tuntutan di mahkamah, beliau hanya menjawab “mungkin”. Beliau juga memberitahu, setelah menunjukkan surat jemputan bertarik 11 Januari daripada speaker, pihak keselamatan masih tidak membenarkannya masuk ke dalam dewan. 11.20 pagi: Abdul Khalid selesai berucap. Ketua pembangkang negeri yang baru dilantik Datuk Mohamad Satim Diman (BN-Seri Serdang) berucap mempersoalkan tindakan Teng memanggil sidang DUN tanpa notis 14 hari. Speaker menegur kembali Mohamad Satim supaya mengingat peraturan tetap dewan sebelum membangkitkan sebarang perkara atau beliau akan diminta keluar untuk mengingatinya. Penyokong Pakatan ketawa besar. 11.25 pagi: Mohamad Satim ketika membahaskan pindaan itu mendakwa kerajaan negeri ‘syok sendiri’. Katanya, Umno Selangor tidak akan sesekali menyokong cadangan itu kerana bertentangan dengan perlembagaan negara dan bermotifkan politik. Menurutnhya lagi, kerajaan BN terdahulu tidak pernah membelakangi Sultan, berbeza dengan menteri besar baru yang didakwa tidak dapat menerima pelantikan Mohd Khusrin Munawi sebagai SUK yang telah mendapat pekenan Sultan. 11.26 pagi: Peserta perhimpunan di Dataran Shah Alam kini bertambah sehingga 500 orang. 11.41 pagi: Mohamad Satim mengulangi dakwaan bahawa wakil Pakatan biadan dan derhaka terhadap Sultan dalam banyak tindakannya, antaranya dalam isu penggunaan kalimah Allah dan tulisan dalam blog Shuhaimie Shafiei (PKR-Sri Muda) yang didakwa menghina Sultan. 12.10 tengah hari: Pengerusi Kelab penyokong kerajaan negeri Azmin Ali (PKR-Bukit Antarabangsa) membalas Umno yang derhaka kerana enggan menyokong cadangan pindaan undang-undang itu. Katanya, walaupun Umno boleh menukar fakta menggunakan media arus perdana, mereka tidak boleh mengubah sejarah. Azmin juga berkata Umno sudah lama menikmati kekebalan bawah pentadbiran ‘Mamak Bendahara’ dan pihak eksekutif, yang mengundang bantahan ADUN Taman Templer Subahan Kamal. Subahan berkata Azmin berniat jahat dengan menggunakan perkataan ‘mamak’. Sementara bangun Shamsudin Lias (Umno-Sungai Burong) menyokong Subahan, mendakwa Azmin menggunakan perkataan itu dengan cuba merujuk kepada Subahan. Azmin pantas membidas kefahaman “cetek” pembangkang negeri berhubung penggunaan prosa Melayu klasi di mana gelaran ‘mamak bendahara’ dirujuk kepada pembantu utama Sultan. 1 tengah hari: Sidang dewan ditangguhkan sehingga jam 2.30 petang ini. 1.10 tengah hari: Sekumpulan 20 pemuda Pakatan Rakyat berhimpun di depan bangunan DUN bagi menunjukkan sokongan terhadap cadangan pindaan itu. Mereke membawa kain rentang dan menjerit perkataan “Daulat Tuanku!” dan “Hidup Rakyat!” sebelum beredar sepuluh minit kemudian. Pindaan Undang-Undang Selangor : Mampukah Khalid dapat 2/3? Kerajaan Negeri Selangor pimpinan Tan Sri Khalid Ibrahim bertegas untuk mengadakan sidang tergempar DUN pada akhir bulan ini bagi meminda undang-undang Tubuh Negeri Selangor 1959. Sementara Ketua Pembangkang DUN Selangor, Datuk Mohamad Satim Diman pula dilaporkan sebagai berkata, pihaknya belum membuat keputusan untuk menghadiri persidangan tergempar DUN sebagaimana yang dicadangkan oleh Menteri Besar Selangor. Daripada 56 kerusi DUN, Pakatan Rakyat (PKR-DAP-PAS) mempunyai 35 kerusi iaitu 14 PKR, 13 DAP, 8 PAS dan BN mempunyai 20 kerusi. Manakala seorang lagi ADUN Badrul Hisham Abdullah (Pelabuhan Klang) yang keluar dari PKR menjadi ADUN Bebas telah memihak kepada BN. Apa yang menarik di sini adalah kesungguhan Tan Sri Khalid Ibrahim, Menteri Besar Negeri Selangor untuk meminda Undang-undang Tubuh Negeri Selangor 1959 itu sedangkan kerajaan Pakatan Rakyat Selangor tidak mempunyai 37 kerusi yang menjadi jumlah undi yang diperlukan bagi mendapatkan undi majoriti dua pertiga daripada 56 kerusi Dewan Undangan Negeri (DUN). Sehingga tahun 2010, Negeri Selangor telah mempunyai 28 orang Setiausaha Kerajaan Negeri (SUK) yang telah berkhidmat bermula dengan Raja Tun Uda Raja Mohamad (1947-1949), Othman Mohamad (1949-1953), Abdul Aziz Abdul Majid (1953-1955), Engku Mohamad Engku Besar Burhanuddin (1955-1957), Abdul Jamil Rais (1957), Mohd Ismail Abd Latif (1957-1958), Taib Andak (1958-1959), Hashim Mat Deris (1959-1960), Lokman Mohd Yusof (1961-1963), Mohd Shamsuddin Yaacob (1963-1967), Tuan Megat Mahy Megat Ismail (1959-1960), Abd Gani Mod Don (1961-1963), Datuk Alwi Jantan (1972-1975), Hussain Mohd Idrus (1976), Datuk Wan Mansor Abdullah (1977-1981), Datuk Sulaiman Amin (1981-1983), Datuk Sulaiman Hashim (1983-1985), Datuk Sulaiman Osman (1985-1988), Datuk Abdul Halim Abd Rauf (1988-1991), Datuk Ahmad Zabri Ibrahim (1991-1993), Datuk Yaakub Abd. Hamid (1993-1994), Datuk Tik Mustaffa (1994-1995), Datuk Hashim Meon (1995-1999), Datuk Ambrin Buang (1999-2001), Datuk Abd Aziz Mohd Yusof (2001-2004), Datuk Mohd Adzib Mohd Isa (2004), Datuk Ramlan Othman (2004-2006) dan Datuk Ramli Mahmud (2006-2010). Isu SUK Selangor ini bermula bila Tan Sri Mohd Sidek Hassan Ketua Setiausaha Negara (KSN) dalam satu kenyataannya mengumumkan perlantikan bahawa Pengarah Jabatan Agama Islam Selangor (JAIS) Datuk Mohd Khusrin Munawi akan dilantik sebagai Setiausaha Kerajaan Negeri Selangor yang baru, berkuatkuasa 1 Januari, 2011. Memandangkan Setiausaha Kerajaan Negeri merupakan pegawai utama yang akan bekerja bersama-sama dengan Kerajaan Negeri Selangor, khususnya Menteri Besar dan Exco Kerajaan Negeri Selangor maka perlantikan ini harus mendapat persetujuan daripada Kerajaan Negeri Selangor. Pemerhati politik melihat tindakan Ketua Setiausaha Negara (KSN) membuat pengumuman SUK Selangor yang baru ini tanpa mendapat persetujuan daripada Menteri Besar (Ketua Eksekutif) Kerajaan Negeri Selangor sendiri merupakan satu tindakan sabotaj terhadap Kerajaan Negeri Pakatan Rakyat. Dalam Nota Amalan mengenai prosidur perlantikan Setiausaha Kerajaan Negeri (SUK) dinyatakan bahawa; (1) Suruhanjaya Perkhidmatan Awam akan menghantar calon yang difikirkan layak yang difikirkan layak (gred 54 dan keatas) kepada Menteri Besar; (2) Menteri Besar kemudiannya memilih calon atau calon-calon yang sesuai dan menyerahkan senarai pendek kepada Sultan; (3) Setelah tuanku berkenan memilih nama yang dicadangkan, MB akan menyerah semula nama tersebut kepada SPA untuk tujuan penyediaan dokumentasi lantikan. Polemik perlantikan Kusyrin yang pernah menjadi Setiausaha Sulit, bekas Menteri Besar Selangor, Tan Sri Mohamad Taib sebagai SUK yang baru ini difahamkan belum mendapat persetujuan daripada Menteri Besar Kerajaan Negeri Selangor walaupun SUK telah mendapatkan perkenan Sultan Selangor. Tan Sri Khalid mendakwa haknya sebagai Menteri Besar tidak dimaklumkan oleh Setiausaha Kerajaan Negeri yang terdahulu, Datuk Ramli Mahmud hingga kepada tarikh persaraannya pada 16hb. Disember, 2010 berhubung dengan penggantinya walaupun difahamkan Sultan telah berkenan melantik Datuk Mohamad Khusrin dalam suratnya kepada SUK pada 10hb. Disember, 2010 lagi. Kedua-dua pihak cuba berada dipihak yang benar. Dalam kes ini Menteri Besar dan sultan Selangor berada dalam pihak yang benar. Kelicikan pegawai tadbir Selangor memainkan peranan ‘gunting dalam lipatan’ menyebabkan Menteri Besar,Tan Sri Khalid Ibrahim dan Sultan Selangor dimalukan dalam satu okestra politik yang disengajakan bila perlantikan SUK yang baru tidak dimaklumkan kepada Menteri Besar. Disebabkan oleh tindakan tidak professional mantan SUK Selangor, Datuk Ramli Mahmud memaklumkan kepada Menteri Besar berhubung dengan penggantinya sebelum diumumkan oleh KSN menyebabkan pihak Sultan memaklumkan kepada Menteri Besar bahawa baginda tidak mempunyai kuasa untuk menerima atau menolak cadangan yang dikemukakan kepadanya oleh SPA ekoran pindaan undang-undang kerajaan persekutuan pada tahun 1983 dan 1993 yang lalu. Bagi mengembalikan kuasa Sultan dan Menteri Besar dalam hal perlantikan 3 pegawai kanan kerajaan iaitu, Setiausaha Kerajaan Negeri, Pegawai Kewangan Negeri dan Penasihat Undang-undang Kerajaan Negeri, DUN Selangor akan mengadakan pindaan kepada Undang-undang tubuh kerajaan Negeri Selangor, 1959. Menurut laporan Bernama hari ini (10hb Januari, 2010), kerajaan negeri sudah melantik Pensyarah Undang-undang Universiti Islam Antarabangsa, Prof. Dr. Abdul Aziz Bari dan peguan Datuk Param Cumaraswamy, bagi menyediakan draf pindaan Seksyen 52 Undang-undang Tubuh Negeri Selangor. Umno perlu diganti untuk kehidupan dan masa depan rakyat yang lebih baik. Khususnya di negeri Terengganu, PAS menegaskan bahawa Umno dan BN perlu digantikan bagi menyelamatkan kehidupan dan masa depan rakyat di negeri ini. Oleh itu, Timbalan Pesuruhjaya PAS Terengganu, Mohd Abdul Wahid Endut berkata Umno-BN perlu ditukar dan digantikan dengan PAS dan Pakatan Rakyat dalam pilihan raya akan datang. “Kita melihat sudah sampai masanya Umno perlu digantikan dengan PAS dalam pilihan raya akan datang. PAS ganti Umno, khususnya di Terengganu. “PAS kena ganti Umno untuk menyelamatkan rakyat, menyelamatkan negeri daripada penyelewengan dan perkara-perkara yang berlaku sekarang ini. “Kita boleh lihat sendiri selama lebih 50 tahun Umno dan kerajaan BN memerintah banyak menyusahkan rakyat dan melakukan penyelewengan terhadap harta rakyat,” ujarnya ketika berucap pada Majlis Sumbangan Bantuan Persekolahan di Chabang Tiga, dekat sini. Abdul Wahid yang juga Ahli Dewan Undangan Negeri (Adun) Wakaf Mempelam menegaskan Umno-BN Terengganu gagal mentadbir serta menguruskan negeri dengan baik. Menurutnya, harta rakyat habis dibelanjakan secara boros dan masalah rakyat di kesampingkan serta golongan miskin tidak dibela. “Umno Terengganu gagal mentadbir-urus negeri dengan baik. Kita kena selamat rakyat dan negeri ini dari kekuasaan kerajaan Barisan Nasional,” jelasnya. Beliau yang juga Ahli Parlimen Kuala Terengganu berharap agar seluruh rakyat Terengganu membuka minda dan membuat perubahan. Pada majlis tersebut Abdul Wahid telah memberikan sumbangan berupa peralatan sekolah kepada seramai 36 orang pelajar miskin tanpa mengambil kira fahaman politik dan latarbelakang keluarga mereka. 1) Isu persekolahan di Malaysia banyak membebankan ibu bapa sedangkan sebagai sebuah negara membangun perkara tersebut tidak sepatutnya berlaku. Bagaimana dengan tanggung jawab sebenar kerajaan dalam memberi kemudahan persekolahan. Adakah hanya sekadar menyediakan sekolah? Ia bukan isu persekolahan tetapi ia adalah mengenai kos. Kos yang perlu dibayar oleh ibubapa atau penjaga untuk mendapatkan pendidikan yang sewajarnya diberikan secara percuma dan dipermudahkan. Bulan lepas, isu yang hangat berlaku di Britain apabila ribuan mahasiswa membantah tindakan kerajaan menaikkan kos yuran pengajian. Mengapa ia berlaku? Sebab, pendidikan adalah keperluan setiap rakyat, tetapi pihak kerajaan telah menyekat peluang dan hak rakyat untuk mendapatkan pendidikan. Kos ini ditentukan oleh pihak kerajaan. Secara mudahnya, kenapa kos untuk mendapatkan pendidikan ini tidak diminimakan sebaik mungkin, tapi dalam masa yang sama kerajaan berbelanja berjuta-juta ringgit untuk membuat pelbagai projek yang tidak perlu. Ini adalah masalah dalam menentukan prioriti perbelanjaan. Saya berpendapat, pihak kerajaan hari ini tidak dapat melihat kesan gandaan sebenar terhadap peruntukan atau pelaburan yang diberikan untuk sektor pendidikan kerana mereka lebih berminat untuk memikirkan soal keuntungan daripada projek-projek fizikal yang dijalankan. Walaupun begitu, lebih menyedihkan walaupun lebih 50 tahun kita merdeka masih lagi terdapat sekolah-sekolah khususnya di pinggir bandar, Sabah dan Sarawak berhadapan dengan masalah kekurangan kemudahan asas, bahan bacaan di perpustakaan tidak mencukupi, dan alat bantu mengajar masih jauh ketinggalan. Tambahan lagi, Laporan Ketua Audit Negara pada tahun 2008 dan 2009 pula telah mendedahkan bagaimana pembelian aset pendidikan jauh lebih tinggi daripada harga pasaran, penggunaan bahan-bahan yang tidak mengikut spesifikasi sehingga berlakunya kerosakan dan keretakan bangunan dan sebagainya. Akhirnya, peruntukan tersebut tidak memberikan maslahah kepada rakyat sebaliknya hanya menguntungkan para kontraktor, ahli perniagaan dan sebagainya. 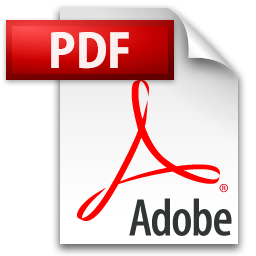 Maka, kita melihat terdapat unsur-unsur cuba untuk memperdagangkan sektor pendidikan di negara kita. 2) Nampaknya slogan ‘rakyat didahulukan’ hanya sekadar slogan kerana dalam isu pendidikan anak-anak, ibubapa makin terbeban dengan masalah perbelanjaan persekolahan dan pendidikan anak-anak. Respons ustaz? Ya. Ia hanya slogan. Bukan hanya dalam isu pendidikan malah dalam isu-isu sosio-ekonomi yang lain pun begitu juga. Apabila kerajaan mengambil sikap mengurangkan subsidi dan menaikkan harga barang, jumlah pendapatan boleh guna isi rumah semakin berkurangan. Saya sedih apabila ramai ibubapa terpaksa berhutang dengan pihak bank dan koperasi untuk membeli barangan keperluan pendidikan anak-anak setiap hujung tahun. Kerajaan masih lagi belum membuat perubahan yang drastik untuk mengurangkan kos pendidikan rakyat di negara ini samada di peringkat sekolah rendah, sekolah menengah dan tertiari. Oleh sebab itu, dalam Dasar Bersama Pakatan Rakyat yang dilancarkan pada minggu yang lalu, kita komited untuk mengurangkan kos pendidikan pada tahap yang paling maksima dan tidak mustahil kita boleh memberikan pendidikan percuma kepada seluruh rakyat Malaysia daripada peringkat pra sekolah sehinggalah ke peringkat sarjana muda. Kerajaan hanya sibuk untuk mengklasifikasikan lebih banyak jenis sekolah dan membuat polisi yang tidak betul sehinggakan mereka sendiri pun terkeliru. Lihat sahaja dasar PPSMI, dasar Bahasa Melayu dan yang terbaru mengenai pendidikan seksulaiti. Semuanya telah dan akan menemui kegagalan. 3) Kerajaan memperuntukkan lebih 100 juta untuk Permata yang kononnya untuk memantapkan pendidikan awal kanak-kanak. Apakah sebenarnya dengan jumlah tersebut kerajaan dpt memanfaatkan untuk tujuan persekolahan dan pembelajaran yang dapat meringankan beban pelajar? Saya tidak mahu menyebut ia adalah amalan kronisme dan nepotisme. Tapi, saya ingin tegaskan disini ia adalah amalan tidak bijak dan menunjukkan kebodohan sendiri. Rakyat hari ini sudah celik untuk menilai dan menghukum. Tindakan sebegini akan lebih menjarakkan tahap pencapaian akademik anak-anak terutamanya di kawasan bandar dan luar bandar. Saya ulanginya sekali lagi bahawa ia adalah kesilapan dalam menentukan prioriti dalam perbelanjaan. Kerajaan tidak menyelesaikan masalah asas sebaliknya mencipta masalah baru. Ia sama seperti isu pendidikan seksual untuk pelajar. Kerajaan fikir untuk mengurangkan masalah penzinaan dan buang anak dikalangan pelajar adalah dengan cara memberikan pendedahan kepada mereka mengenai perkara seks. Mari kita buat perbandingan antara pelajar yang belajar di sekolah kawasan bandar dan kawasan luar bandar. Begitu juga pelajar yang belajar di sekolah kerajaan dan pelajar yang belajar di sekolah rakyat hasil daripada usaha-usaha waqaf orang ramai. Adakah kerajaan mengamalkan sikap diskriminatif? Tidakkan ia menunjukkan perbezaan yang ketara? Saya cabar pihak kerajaan supaya selalulah meninggalkan kerusi empuk dan turunlah bertemu dengan rakyat diseluruh pelusuk negara kita supaya mereka dapat memahami penderitaan dan kesusahan rakyat. Jangan hanya berbincang di bilik berhawa dingin, sebaliknya keraplah menyantuni rakyat barulah kita akan merasai denyut nadi mereka. 4) Bagaimana dengan nasib ibubapa yang bekerja sendiri serta berpendapatan rendah seperti petani, nelayan dan bekerja kampung untuk menyara persekolahan anak-anak sedangkan kedudukan ekonomi hari ini menyebabkan haraga barangan keperluan naik dan bagi yang bekerja gaji masih ditakuk lama. pandangan ustaz? Subsidi sebenarnya telah pun diberikan kepada golongan miskin dan mudah terjejas di negara kita. Tetapi, persoalannya sampai bila kerajaan boleh memberikan jaminan bahawa subsidi akan sentiasa berterusan? Sama juga seperti kenaikan harga petrol. Pertengahan tahun lalu, kerajaan ikrar tidak akan menaikkan harga petrol pada tahun 2010 tetapi hakikatnya tetap dinaikkan juga. Dimana kepercayaan rakyat kepada kerajaan? Oleh sebab itu, PAS dan Pakatan Rakyat tidak akan berkompromi terhadap kos pendidikan. Janji kami adalah kos pendidikan akan dikurangkan semaksima mungkin dan jauh lebih rendah daripada kadar hari ini. Pada masa yang sama, masalah kritikalnya adalah kerajaan gagal menguruskan ekonomi negara dengan baik. Ini kerana asas ekonomi itu adalah bagaimana kita menguruskan pendapatan dan perbelanjaan isi rumah rakyat. 5) Saranan ustaz kepada pihak kerajaan agar pihak ibubapa tidak terbeban dengan permasalahan yuran persekolah serta kos pendidikan anak-anak yang sering meningkat saban tahun? Pertama, kita perlu jelas bahawa akses pendidikan adalah wajib kepada seluruh rakyat dan kita sentiasa galakkan supaya rakyat mendapat pendidikan yang berterusan. Bukan hanya sekadar wajib, malah kerajaan mesti menyediakan sistem pendidikan yang berkualiti pada kadar yang paling minima. Kedua, peruntukan yang besar kepada sektor pendidikan mestilah diagihkan dengan adil dan telus. Aspek pembinaan infrastruktur mestilah tepat kepada sasaran supaya ia lebih banyak dapat disalurkan bagi meringankan beban ibubapa yang menanggung beban persekolahan. Saya juga meminta supaya kerajaan mengkaji semula cadangan untuk membuka skim insurans pendidikan kepada ibubapa. Ia bukan kaedah solusi jangka panjang yang bijak kerana seolah-olah kerajaan hanya ingin lepas tangan mengenai perkara ini. Ketiga, pihak kerajaan dan pihak-pihak yang berkuasa mestilah menjalankan tanggungjawab dengan penuh amanah dan beretika tinggi. Dikesempatan ini, saya juga mendesak agar pihak-pihak tertentu yang menyelewengkan Tabung Kumpulan Wang Amanah Pelajar Miskin (KWAPM) dihadapkan ke muka pengadilan dengan segera. Ini satu penyelewengan yang besar dan zalim. Keempat, menggalakkan lebih ramai golongan-golongan dermawan (philantrophists) untuk memberikan sumbangan waqaf bagi tujuan pendidikan. Kaedah Corporate Social Responsibility (CSR) yang telah diamalkan oleh sektor korporat mestilah lebih diperluaskan agar mereka dapat membantu mengurangkan kos pendidikan. KUALA LUMPUR, 30 Dis: Kerajaan Pakatan Rakyat Selangor diyakini akan mengalami masalah besar dalam pentadbiran dengan perlantikan Datuk Khusrin Munawi sebagai Setiausaha Kerajaan (SUK) negeri yang baru. Ini kemungkinan berlaku apabila Khusrin memainkan peranannya dengan ‘mengganggu’ mesyuarat exco seperti yang diarahkan kerajaan pusat. Ahli Parlimen Bukit Gantang, Datuk Seri Mohammad Nizar Jamaluddin berkata, perlantikan Datuk Khusrin itu sendiri mempunyai agenda khusus dari kerajaan pusat untuk membolehkan Datuk Khusrin campur tangan bagi pihak kerajaan pusat dalam membuat keputusan Mesyuarat Exco Negeri Selangor. “Apa saja keputusan yang diputuskan dalam mesyuarat Exco, sepatutnya setiausaha sulit akan keluarkan arahan dan laksanakan, kemudian putuskan dalam mesyuarat. “Ini tidak, apa yang tak diputuskan dia buat, mesyuarat Exco tak bincangkan masalah ini, dia sendiri akan buat surat dan keluarkan arahan tanpa kita bagi arahan daripada mesyuarat Exco,” katanya dalam satu kenyataan media. Kejadian seperti itu, menurut beliau, tidak mustahil akan berlaku dalam pentadbiran kerajaan Selangor jika perlantikan Khusrin diteruskan sehingga akhirnya akan menyebabkan Kerajaan Pakatan Rakyat Selangor berjaya digulingkan oleh kerajaan pusat. Beliau yang juga Ahli Jawatankuasa Kerja PAS Pusat turut melahirkan kebimbangannya berhubung perkara itu, berdasarkan pengalamannya sendiri sebelum ini yang pernah mengetuai sebuah kerajaan yang sah yang diberikan mandat oleh rakyat pada PRU Ke-12 lalu, tetapi digulingkan oleh pihak Umno BN menerusi rampasan kuasa. Umno BN sebelum ini telah merampas negeri Perak dari Pakatan Rakyat gara-gara tiga Ahli Dewan Undangan Negeri (Adun)nya bertindak lompat parti dan menjadi Adun Bebas. Mereka terdiri daripada Adun Behrang, Changkat Jering dan Jelapang. Kelayakan ketiga-tiga Adun itu juga masih dipertikai kerana ketiga-tiga kerusi Dun itu telah diumumkan kosong oleh Speaker Dun Perak, V. Sivakumar. Nizar yang pernah menjawat jawatan Menteri Besar Pakatan Rakyat Perak turut mempertikaikan perlantikan Khusrin kerana ia merupakan satu tindakan yang jelas membelakangkan Menteri Besar Selangor, Tan Sri Khalid Ibrahim kerana keputusan tersebut dibuat tanpa meminta pandangan Khalid terlebih dahulu. Oleh itu, beliau menyifatkan tindakan tersebut sebagai jelas tidak menghormati kedudukan Tan Sri Khalid sebagai Menteri Besar yang dipilih oleh rakyat, walaupun semua pihak tahu, Khalid patut diberikan peluang untuk membuat keputusan untuk memilih orang yang boleh berkerja sebagai setiausaha sulitnya. Sementara itu, dalam perkembangan lain, Pegawai-Pegawai Wakil Rakyat Pakatan Rakyat Negeri Selangor (Selproa) menggesa Kerajaan Pakatan Rakyat Selangor mengadakan sidang mesyuarat tergempar di Majlis Undangan Negeri, bagi menolak Setiausaha Kerajaan Negeri lantikan Kerajaan Pusat. Presiden Selproa, Abdul Razak Ismail, dalam kenyataan medianya berkata, langkah itu perlu bagi melindungi kepentingan rakyat Selangor. Beliau berkata demikian sebagai mengulas laporan media yang melaporkan pihak Istana telah meluluskan perlantikan Pengarah Jabatan Agama Islam Selangor (JAIS), Datuk Khusrin ke jawatan kanan itu bermula 1 Januari depan. “Saya mencadangkan persidangan tergempar menolak perlantikan Khusrin. Kita tidak mahu Khusrin menjadi gunting dalam lipatan dalam pentadbiran Pakatan Rakyat,” katanya. Parti pelampau – Hindraf-Parti Hak Asasi Manusia (HRP) telah memberi kata dua kepada Pakatan Rakyat supaya memberi laluan kepada parti kaum India itu bertanding satu lawan satu dengan BN di 15 kerusi parlimen dan 38 kerusi negeri dalam pilihanraya umum akan datang. Dalam surat yang dihantar hari ini kepada ketua umum PKR Datuk Seri Anwar Ibrahim, penasihat DAP Lim Kit Siang dan presiden PAS Datuk Seri Hadi Awang, setiausaha agung penaja HRP, P Uthayakumar berkata jika Pakatan tidak memenuhi permintaan parti itu, gabungan itu akan berdepan dengan pertandingan tiga penjuru di kawasan berkenaan. Sebagai ganjaran tidak bertanding, menjanji sokongan dan menyediakan bantuan jentera kepada HRP, Pakatan akan mendapatkan “sokongan tidak berbelah bagi dan kerjasama di semua 207 kerusi parlimen dan 538 kerusi DUN untuk memenangi semula sokongan pengundi India. Uthayakumar berkata, pihak berharap Pakatan tidak akan meletak calon di kawasan berkenaan sehingga menyebabkan berlakunya pertandingan tinga penjuru “menentang musuh politik bersama kita (Umno-BN). Bercakap dalam satu sidang akhbar di ibupejabat HRP di di Bangsar, Kuala Lumpur, Uthayakumar berkata bahawa kerusi yang dipilih itu mempunyai jumlah besar pengundi India, termasuk kerusi yang kini diwakili wakil rakyat PKR seperti Padang Serai di Kedah, Ipoh di Perak Barat, Kota Raja di Selangor dan Lembah Pantai di Kuala Lumpur. Mereka juga berminat dengan kerusi parlimen Sungei Siput, Perak, yang kini diwakili oleh anggota jawatankuasa pusat PSM, Dr D Jeyakumar. Uthayakumar berkata, 15 aktivis setia Hindraf telah disenarai-pendekkan sebagai calon. “Mereka telah teruji, telah menjadi sebahagian daripada Hindraf sejak hari pertama, tidak akan melompat ke parti lain dan sama kuat dengan calon PAS,” katanya. Ditanya mengapa HRP memilih untuk tidak menyokong calon Pakatan di kawasan pilihan raya berkenaan, Uthayakumar berkata, ia kerana isu yang dihadapi oleh masyarakat miskin India di situ tidak di bawa ke Parlimen. politik dengan Pendaftar Pertubuhan (ROS) menjelang pilihan raya umum akan datang. Uthayakumar berkata, pihaknya telah mengemukakan semua dokumen yang diperlukan oleh ROS pada 25 November. Menurutnya sama ada didaftar atau tidak, mereka akan bertanding, termasuk sebagai calon Bebas. Malam ini, Uthayakumar juga akan dilancarkan buku kedua yang ditulisnya ketika 514 hari berada dalam tahanan di bawah Akta Keselamatan Dalam Negeri (ISA). Berjudul ’25 November Hindraf Rally 2007 “, buku setebal 400 halaman itu merupakan catatan peribadinya mengenai peristiwa yang membawa kepada perhimpunan bersejarah yang disertai oleh 30,000 kerana memprotes diskriminasi terhadap kaum India, dan pengalamannya di bawah ISA.